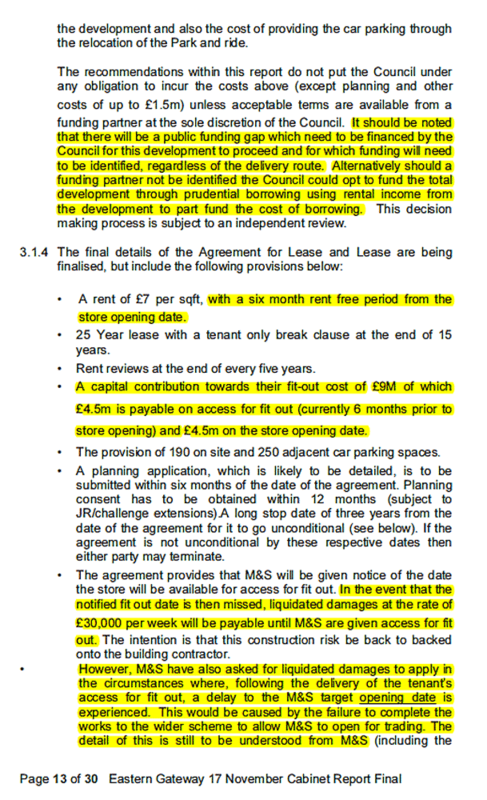 Once again we have cash strapped Oldham Council, which already has almost two fifths of a billion in long-term debts, issuing what is a premature press release about yet another Town Centre regeneration scheme which currently has no funding in place, no financial plans approved nor private developers or investors onboard. 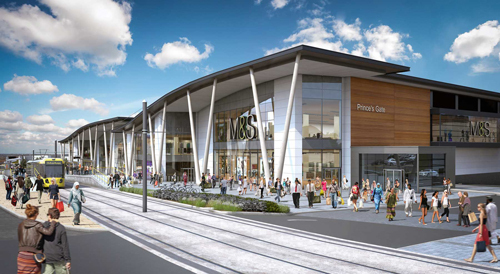 Known as the Prince’s Gate the development at Mumps is lauded by OMBC as follows “Oldham Council is unveiling a ‘gamechanger’ masterplan for the town centre’s eastern gateway to bring new shops, housing and jobs – and is hoping to attract missing retail giants like Marks & Spencer. It aims to regenerate this gateway site, establish a quality town centre living offer, redevelop redundant land and attract key new retailers. Overall it would deliver around 150,000 sq ft of extra retail space, up to 800 homes, including apartments, and approximately 700 car parking spaces.” Let’s not forget that perceptions of Oldham Town Centre are built on fact not fiction as recently obtained Police data under Freedom of Information regulations show’s that six out of the top twenty shoplifting hotspot stores, of the ten local authority areas that make up Greater Manchester, are in Oldham three of which are in Oldham Town Centre – Debenhams, Boots & Home Bargains. So far in the Town Centre we have Oldham Council creating considerable new debts with the Old Town Hall Cinema heritage project which is behind schedule, has no private financial backers & currently is projected to cost £36 million which is an increase of more than 50% in the last two years as wet & dry rot was discovered throughout the entire building after construction work had started and large areas had to be demolished due to structural failure.There is also the Hotel Future development which is in limbo almost three years since it was announced; this is due to poor planning, lack of a feasibility study at scheme commencement & Council funding issues, the Council are due to announce the findings of a new feasability study in December, no doubt this will mean the Council borrowing even more money. We also have a new sports centre which is being built in a relocated position clearly chosen to serve the educational campuses rather than Oldham’s Council Tax paying residents & Town Centre shops that benefit from footfall trade, the new centre will offer less sports participation facilities than the current leisure centre but more spectator seating, less facilities new or otherwise is not an improvement it is a reduction in services.